That’s right. I said that. Burnout is good for you. In the post below, I will share with you how and why. First, I want to remind nurses reading that this is another in the nurse burnout blog post series. 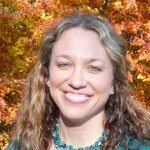 In the earlier part of this year, I wrote an article called “The Way We Think About Nurse Burnout is Broken“. Since there were so many issues with the way the profession of nursing is addressing and handling nursing burnout, I had decided back then to split that post up into several articles that responded to each of the challenges. Burnout allows you to help others. Burnout propels you to your passion. Pretty cool stuff, right? OK, so this post will not cover the above said reasons again. However, what I do want to share is some parts of my “Stop Nurse Burnout” book in order to help you understand that burnout really does have a highest and best use. Here’s more on how nursing burnout is good for you. It seems that people don’t often get their act together without burnout. Burnout marks the place where you have followed someone else’s path long enough that your body is telling you things must change in ways you can no longer ignore. You finally pull your head up and realize beyond any doubt that this is not your path. Unless you turn the downward spiral around before this crisis point, nurse burnout will eventually push you to near breaking. I hope and pray that when you reach that point, you bend and spring back rather than snap like some of the unfortunate among our brothers and sisters. Alcohol, drugs, depression, other mental illnesses, and suicide are all complications I hope you avoid. The good news is that only a tiny minority of nurses will face those trials. The rest of us are left with a scene Robert Frost described best. You can see that there is more than one option available. It is clear you are free to choose between the two. Either choice has its own set of unique consequences. At this point, when you have no energy left to keep putting out the fires of other people’s demands and priorities, something important happens. You realize with undeniable clarity that you have other choices available, and the path you have been on all this time is simply one choice among many. We need to stop treating burnout like it is something that is bad for us. Or that we did something wrong to get to the state of nursing burnout. By continuing to treat burnout as though a person did something wrong or was infected with some kind of terrible virus- we only stigmatize those nurses further. 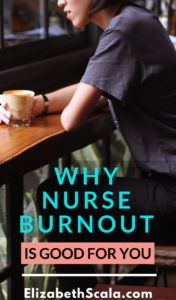 Each and every one of us will likely experience burnout as a nurse. It is simply the nature of the job. Hey, I have. More than once! Instead of viewing burnout as though we are infected with some kind of horrible disease, put it to its highest and best use. Burnout is here to nudge you onto a different path … one with more purpose. You really can decide what you want and go get it. You can set your own tracks from now on. You can use your discomfort to fuel your change. And hey, if you are open to change then you might actually see that burnout is good for you! 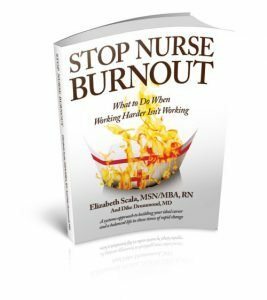 The Stop Nurse Burnout book is devoted to giving you new levels of awareness and new tools. You will learn how to step off these rails of others’ expectations. 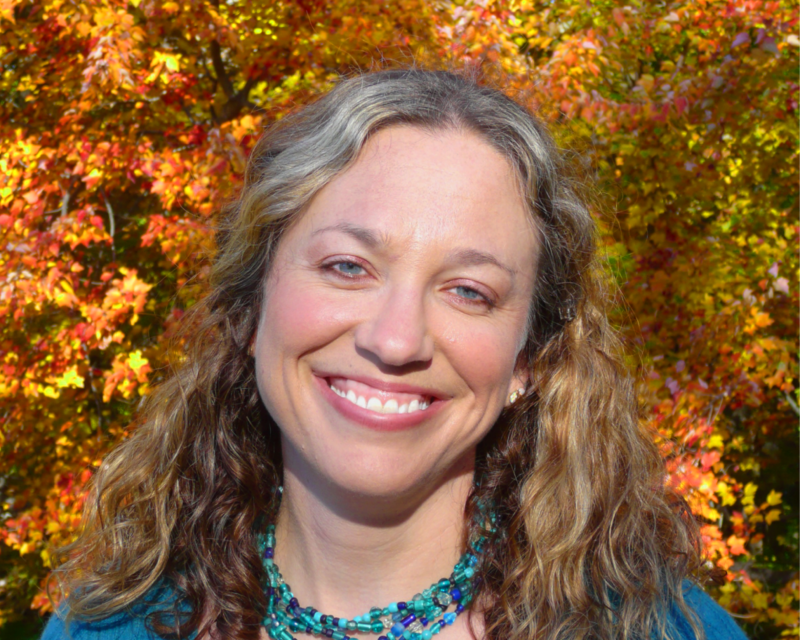 Let me show you how to recognize your own path and navigate its twists and turns toward your Ideal Nursing Career with intention and on purpose. Let’s hear from you! Have you experienced burnout in your career? If so, what did it teach you? How did it help you grow? What benefits and/or consequences have the paths you have chosen in your life? Share a comment below and thanks for reading! 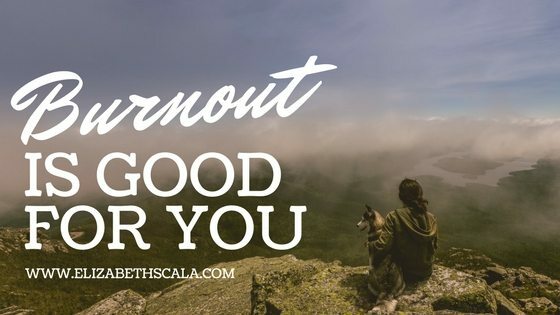 Burnout can help you change..so that is good. As a nurse currently struggling with burn out and I am now coming out the other side. I can see it is a good thing! It’s all in how you manage it! Great article! Great to hear that you are coming out the other side, Rachel! Thanks for the feedback on the article; I am glad that you enjoyed it. For the other readers here, what helped you come through the other side of nursing burnout? Interesting take on nursing burnout. One part that stuck out to me is that it “marks the normal transition in life”. This is so true. It is only once you get to that point that you really realize that something has got to change, and soon. It give you a boost of motivation. It makes you reevaluate your life in a way. Nice article. Thanks, Meesha. So glad that you enjoyed the post. And I appreciate the feedback. Yes, as human beings we change and grow throughout life. To that respect, burnout can then become normal as what we are doing no longer fits where we are in life. Thanks for adding your thoughts here. Appreciate it!